To get you started interpreting and exploring them. When I have only a half-hour to share what I know about dreams and their interpretation, I give my Top 10 Thing to Know lecture. But there’s a #11 thing and you’ll see in the video why it’s a fascinating fact about how dreams are created. 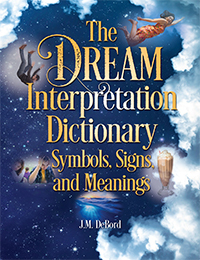 Zip into high gear by watching this video that tells you what you need to know about dreams and dream interpretation. Enjoy! You subconsciously know what your dreams mean because you create them. This is the sort of simple yet powerful observation that can help you penetrate the mysteries of your dreams. They’re also stories told using symbolism, and the point is to help you digest your experience of life. With these simple facts about your dreams in mind, you’re ready to interpret them using my 3-step system, D3. Give me two hours of your time to watch the video lesson playlist below and your boat will be launched. You’re ready for a journey into knowing your dreams better than ever. You want the Master Course Bundle at Dream School if a deep dive is what you really want. Five Dream School courses bundled for $99. More than 30 hours of dynamic and eye-opening video lectures.